I have been meaning to write a blog post for a while about one of my favorite rooms in our house. 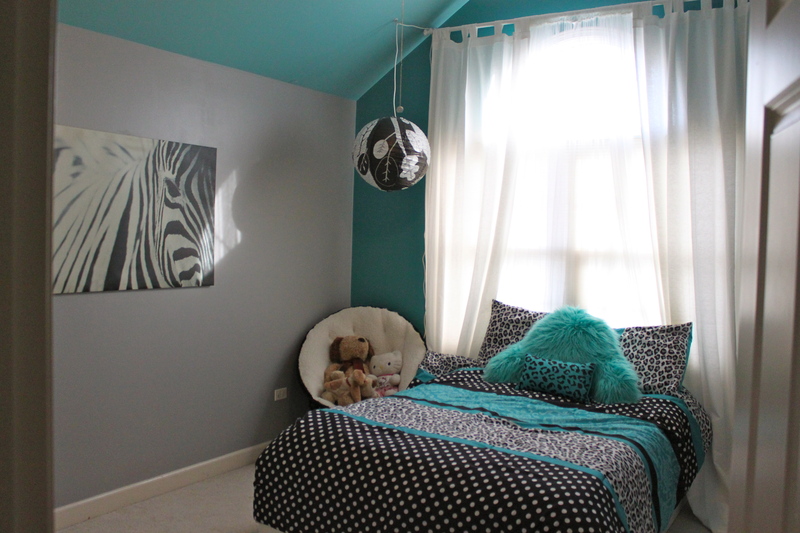 Last fall, I decorated our 10 year old’s room in an animal print theme. As I was cleaning her room this week, I decided to snap some pics. 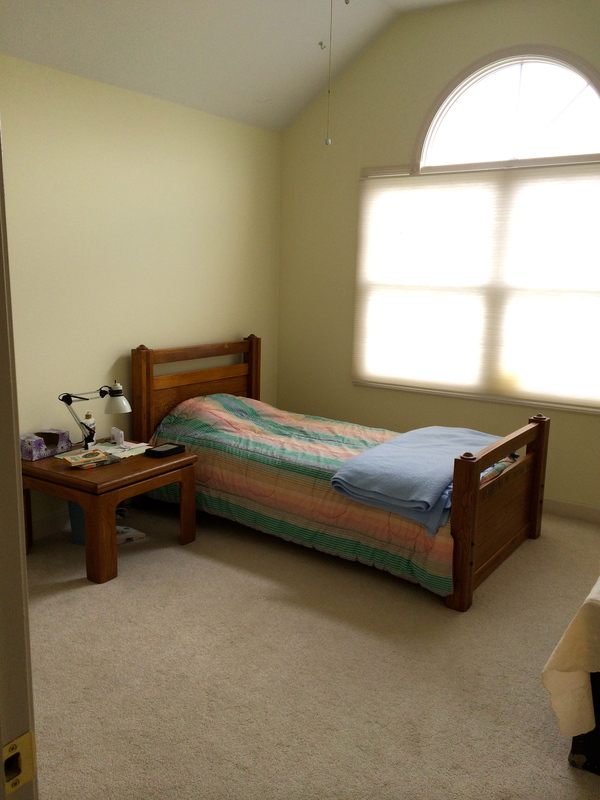 Her room is always warm and bright because it has a vaulted ceiling with tall windows, and it gets the morning light. She spends hours and hours snuggled on her bed reading books and just enjoying her cozy room. I often go in there with her and stare at the ceiling because it makes me feel so calm and peaceful. 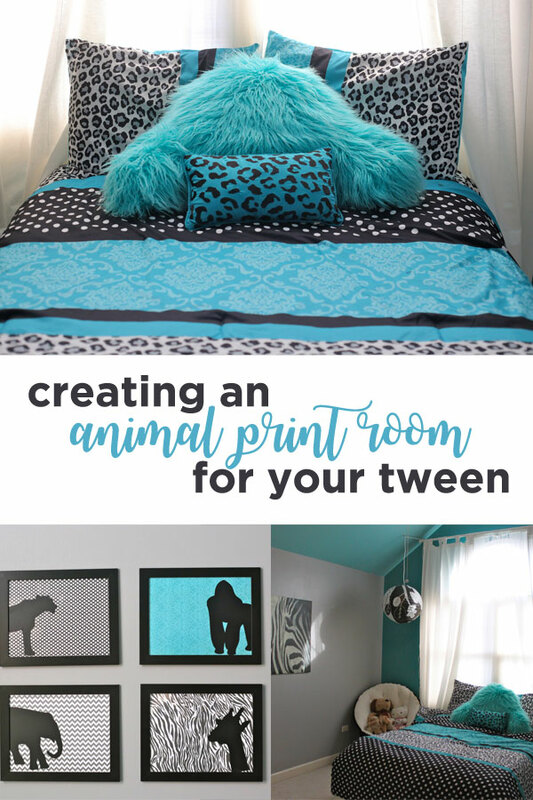 She wanted her room done in animal prints and I was so thrilled when we found this bedding set in turquoise, black and gray. I wasn’t sure what to do about the round window at the top of the regular windows. 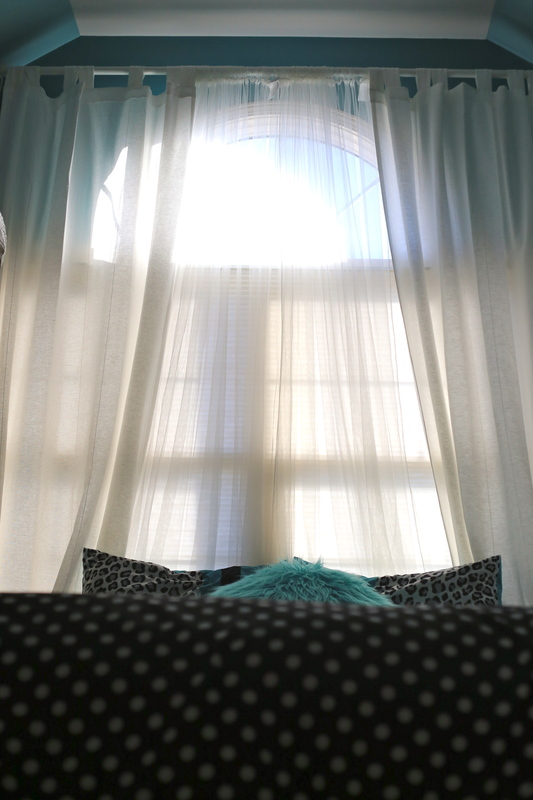 She loves having all that light in her room, but in the summer, it is very bright, very early in the morning! I decided to buy these super long curtains from IKEA and hang them above the round window. The curtains are 108 inches long!! I loved the result! 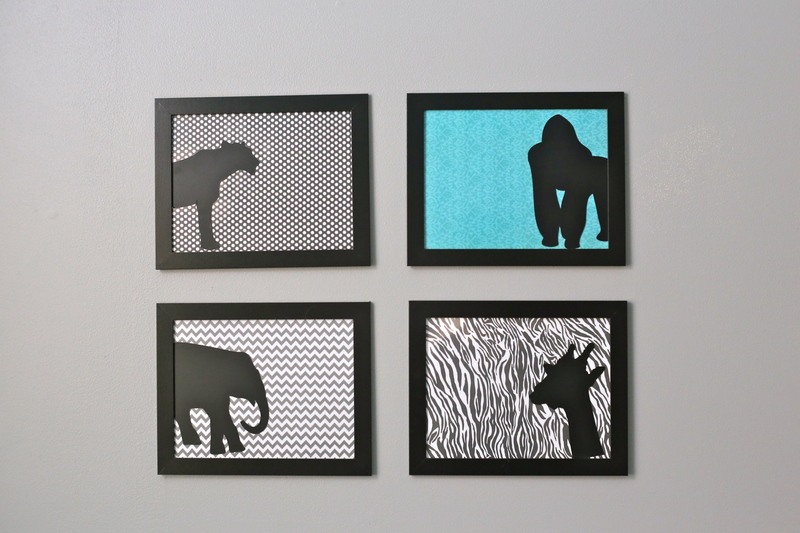 I DIY’ed these animal prints. I bought simple black frames at IKEA and put a piece of scrapbooking paper in each one. 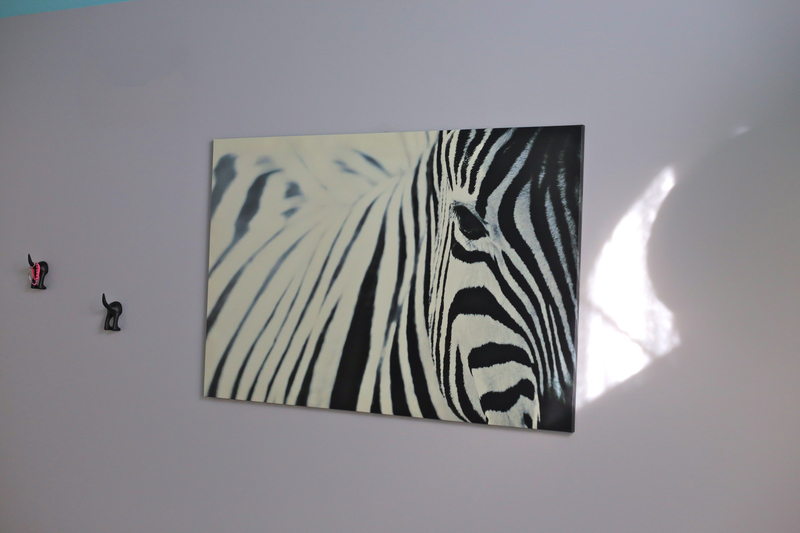 I cut out the animals on black adhesive vinyl with my Silhouette. 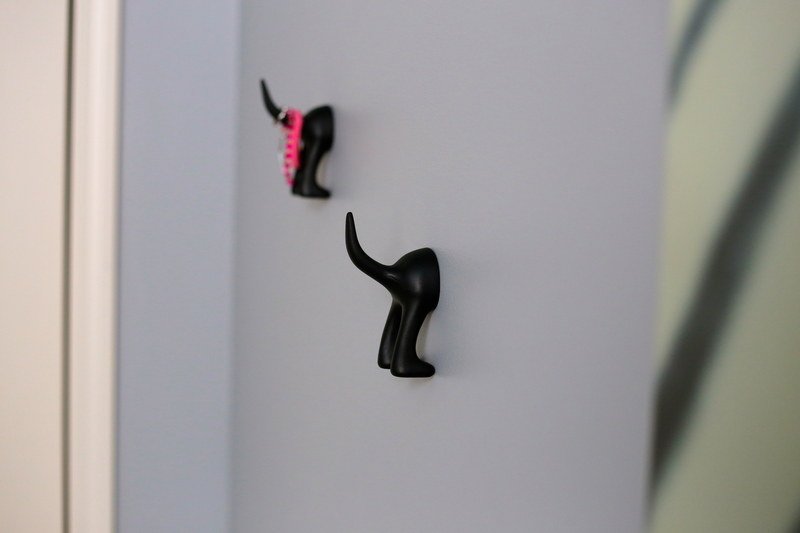 That was the easiest project ever and a really cheap way to create some cute art! 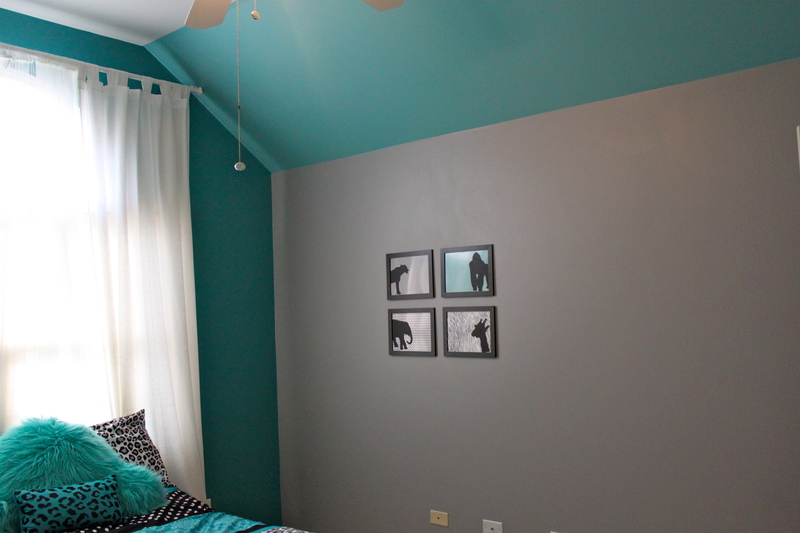 Our favorite part of the room is the ceiling. 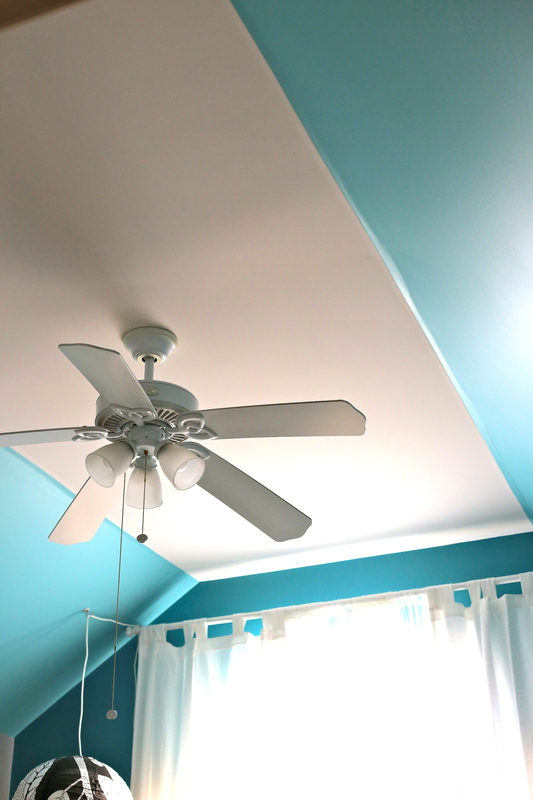 I painted the slanted part of the ceiling in a lighter shade of turquoise.